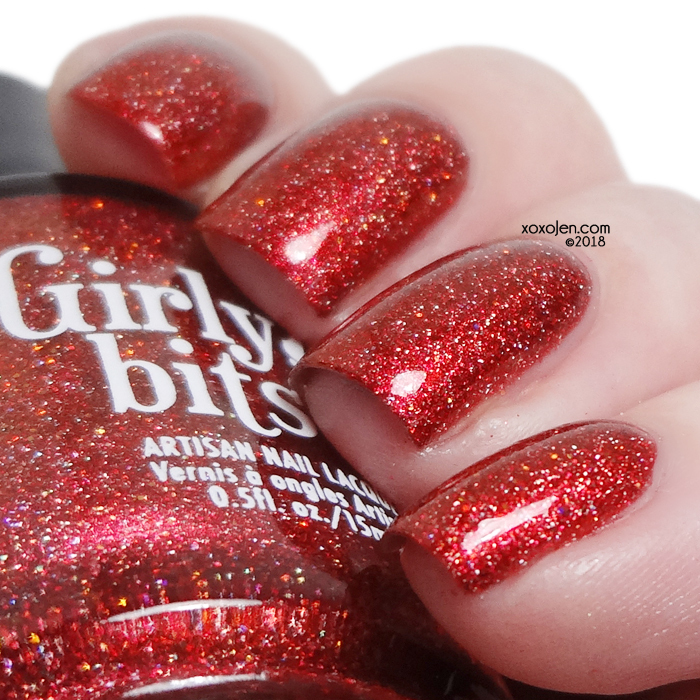 Girly Bits has created a fiery shade for the for Hella Handmade Creations (HHC) April launch which will be available on the Hella Handmade Creations website April 14th - 21st. 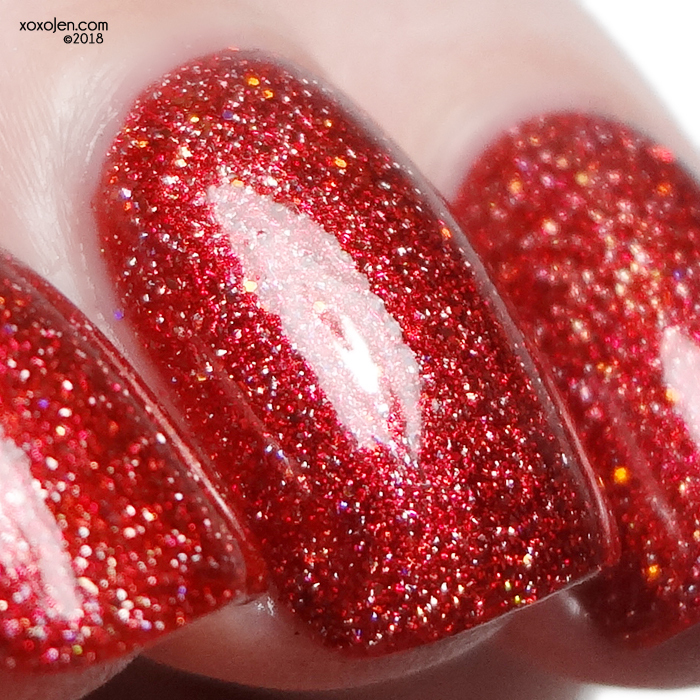 a bright red scattered holo with a golden/copper shimmer, and a slight sprinkling of gold holo microglitter. This polish is 5 free, cruelty free, and vegan friendly. Such a stunner, it's on fire! I wore two coats with topcoat, the formula was fantastic.